"Because you are My very dear friend, I am speaking to you My supreme instruction, the most confidential knowledge of all. Hear this from Me, for it is for your benefit. Always think of Me and become My devotee, worship Me and offer your homage unto Me. Thus you will come to Me without fail. I promise you this because you are My very dear friend. "Although Krsna previously explained the proficiency of executing Vedic rituals, performing fruitive activity as enjoined in the Vedas, practicing yoga and cultivating jnana, these last instructions are most powerful and stand above all the others. 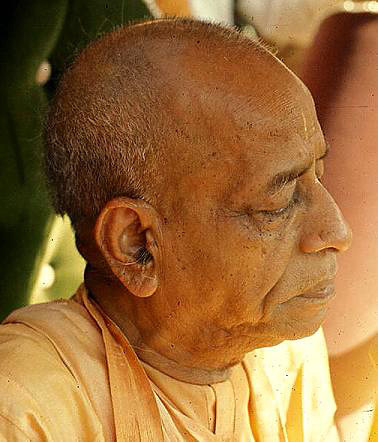 "If the devotee has faith in the strength of this order, he worships Lord Krsna and gives up all other activities."